We are pleased to invite you to the first European Women Angel Investment Forum on November 15, 2018. Meet the leading women angels and networks from around Europe that work to stimulate female investment. On November 15, Business Angels Europe organizes two intensive workshops for the WA4E partners and their women angels. Panelists from different European countries will dive into the motivation, incentives and inspiration of women angels. 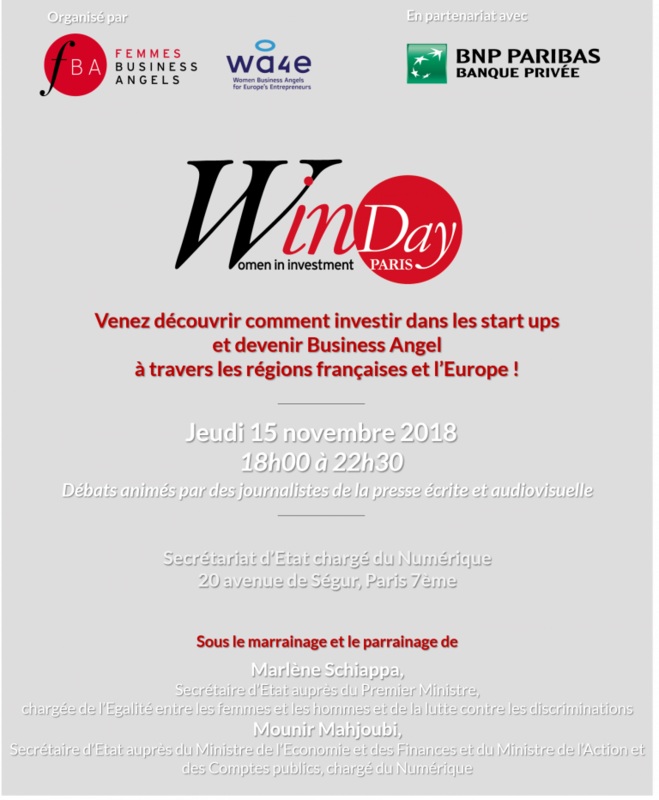 In the evening, at the ministry of Digital Affairs in Paris, Femmes Business Angels opens their Winday event to Europe. In two round-tables with the leading voices from French and European Women Angels, we explore the challenges, inspiration and journey ahead.